Check to Individual: Accept for Loan Payment? PATRIOT OFFICER® offers the most effective and advanced technology to consolidate your Anti-Money Laundering, Anti-Terrorist Financing, and Anti-Fraud effort through a centralized case management platform with the highest efficiency. Contact sales@gv-systems.com to see how easy you can manage your regulatory compliance and risk management resources with optimal efficiency while removing duplicate effort. ROR Required on Streamlined Refinance? The US Office of the Comptroller of the Currency has indicated it will be focusing on the effectiveness of AML systems and controls on its list of FY 2019 annual priorities. Watch ACA Telavance's COMPLIMENTARY WEBCAST to learn how you can improve and simplify financial crime detection through analytics, robotic process automation, and machine learning. Non US Citizen Sign A Lease to Open SDB? Accept Copies of Original Short Certificate? 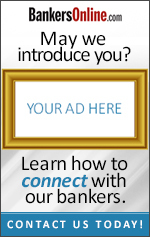 Through their advertising and sponsorships on BankersOnline, the companies offering banking products and services help to make this site possible. When you're looking for a supplier, give your business to companies who support BankersOnline.com. Learn more now on our Sponsors page. Click here to unsubscribe from future mailings.